Familiarize yourself with this important information before you go. 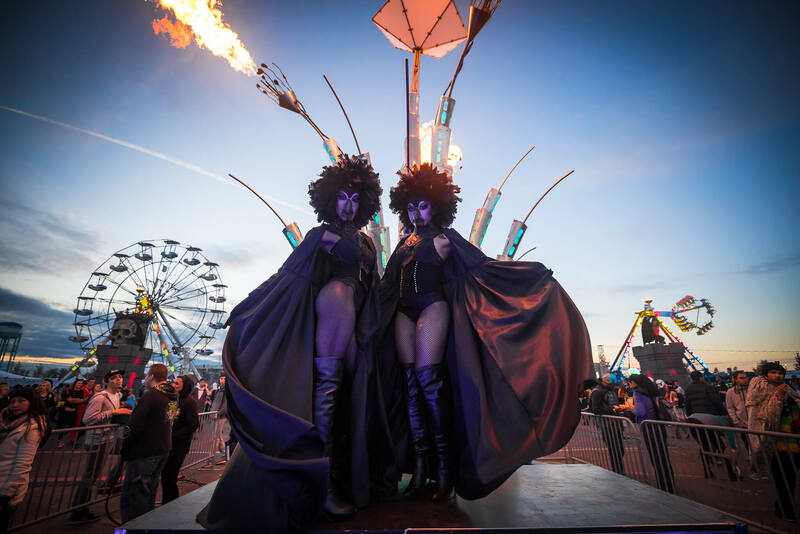 Celebrate this Hallow's Eve and commit yourself to Freaky Deaky to release your earthly inhibitions with two days of dancing on the dark side, October 27-28th, at Sam Houston Race Park. Enter if you dare, for a twisted celebration of freaks from far and wide as we come alive to discover Freaky Deaky at our spooky exploration of sound. Our freaky celebration welcomes 40+ of today's most sinister selectors with booming basslines to be heard for miles. Start planning now for a freaky good time! Festivities take place on Saturday and Sunday of Halloween weekend with shows beginning in the afternoon and running all night. The hotly anticipated lineup features a cross-section of genres including house, techno, trance, bass - and everything in between. 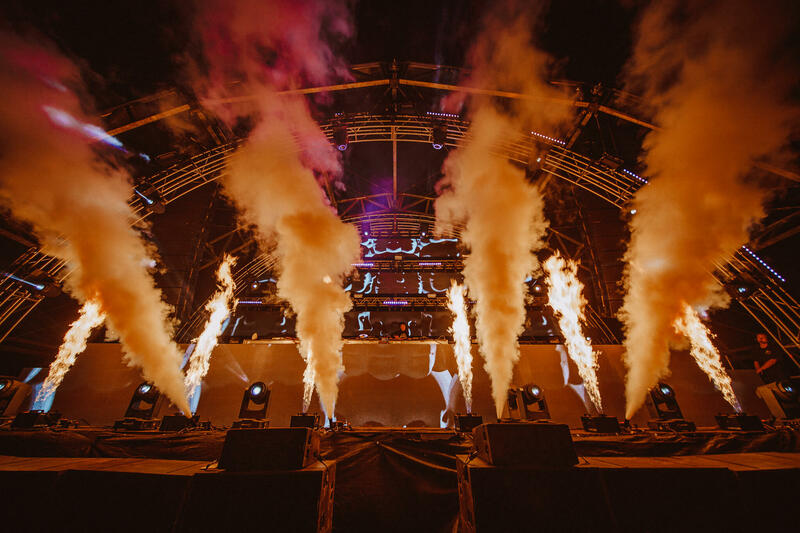 Today's most sought-after producers will perform including nightly headliners DJ Snake, Excision, Kaskade, Porter Robinson (DJ Set). Revel in the underworld of electronic artists and get into the freaky spirit as we invite 40+ devious DJs to work their black magic. 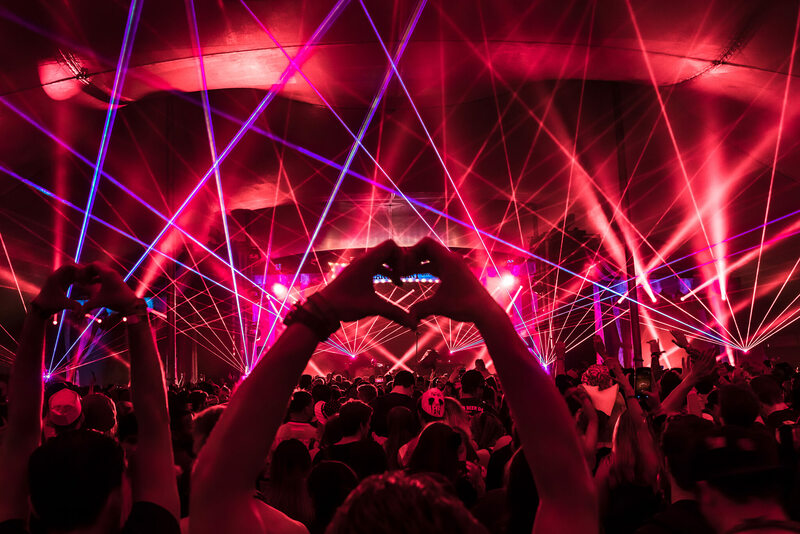 Don't be afraid to cast spells on the dance floors and see what lies beyond! Explore the lineup to discover your favorite new artist, listen, and create your own schedule before going to the show! 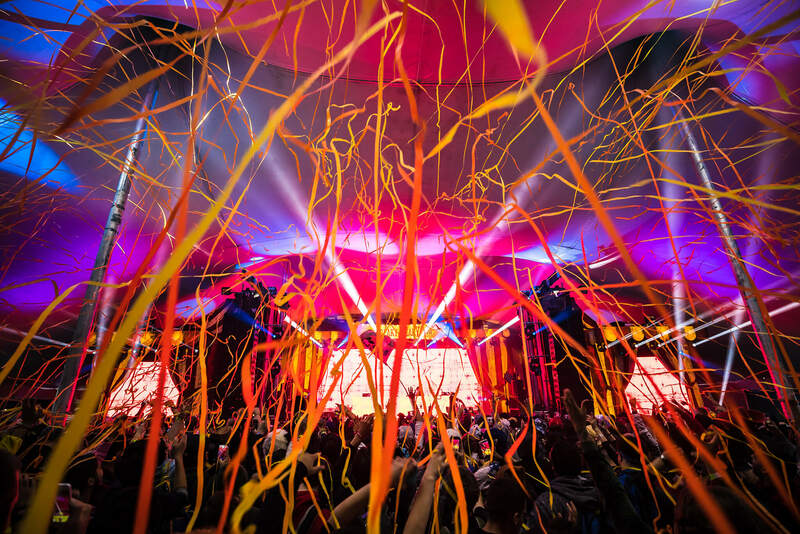 The Texas edition of Freaky Deaky visits Sam Houston Race Park. Plot your arrival and departure with complete details about parking, or where to direct your cab for drop-offs and pick-ups, and where to rest your bones for the night. Enter our crazy world with a reminder to have fun and Celebrate Safe. 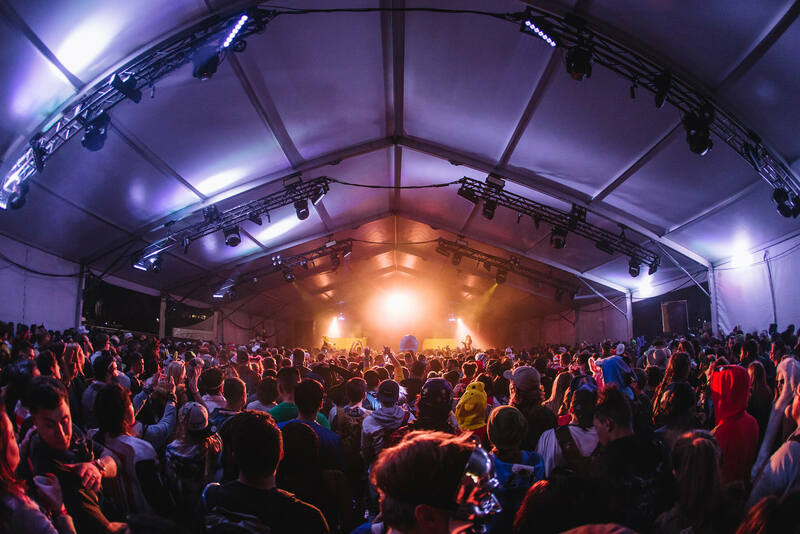 For tips to a successful festival mission take a look our pointers including how to stay cool, use the buddy system, and support fellow partygoers. 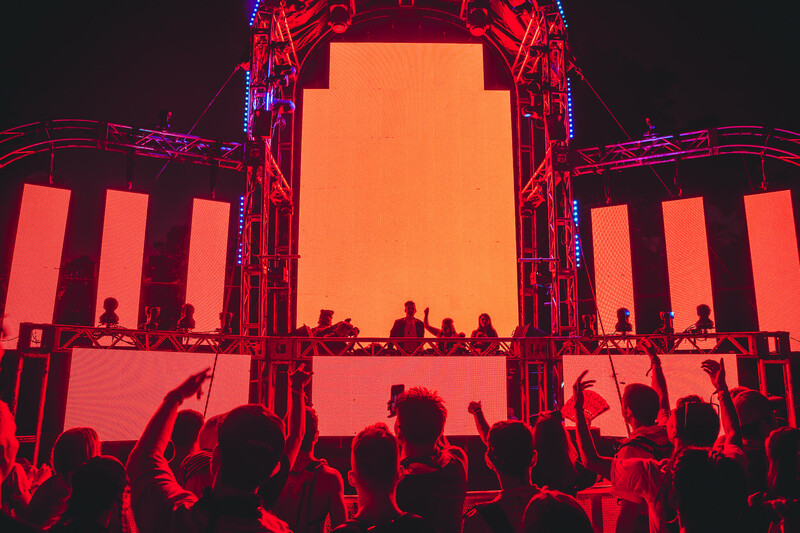 Make the most of our time at Freaky Deaky with a quick peek at the general festival guidelines. Become familiar with what you can and cannot bring along, ensure you have the proper identification, and prepare accordingly. 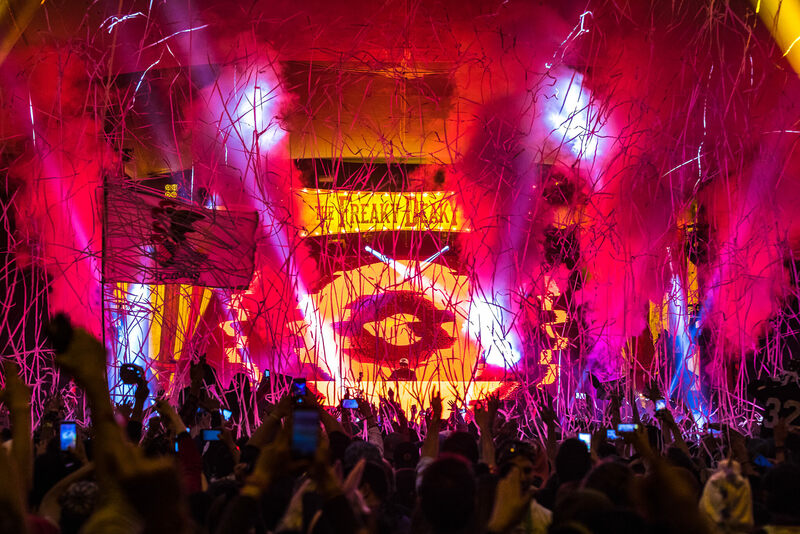 Freaky Deaky is open to fans who are ages 18 and above. To purchase and consume alcohol, you must be at least 21 years of age. The festival will take place rain or shine, excluding life threatening weather. Please keep up-to-date on local weather reports to prepare accordingly. Every attendee (including media and guests) will be searched prior to entry with a TSA-style search, which includes emptying your pockets and bags, a full pat-down, an examination of items brought with you, and potentially a removal of your shoes. Police officers work both inside and outside our events with the aid of K9 units. All narcotics laws are strictly enforced. Freaky Deaky reserves the right to refuse entry to anyone. The use or possession of any illegal drugs or substances will not be tolerated - either inside or outside the venue. If you are found inebriated at the entrance, security will not allow you to enter the festival. Event staff reserves the right of admittance refusal. In the First Aid tents located throughout the festival, you'll find teams of medical practitioners ready to care for your every need. If you or a friend is not feeling well, are lightheaded, nauseated, or have another medical need like blisters or a headache, please visit our friendly medical staff and feel free to ask a festival team member for assistance. 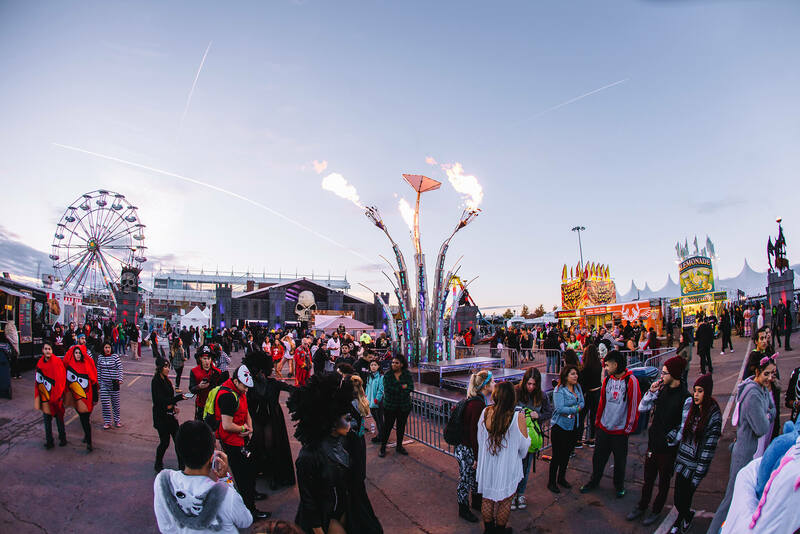 Few things are necessary to enjoy Freaky Deaky, but there are a couple items that you shouldn't leave home without. Showcase your squads' festival spirit with totems, flags, and costumes; but don't forget to bring your festival tickets and valid identification. When in doubt, please take a moment to reference our guide to the acceptable and prohibited items below including everything you can and cannot bring past the front gates. Please note: if at any time an acceptable item is deemed harmful to other patrons it may be confiscated, and retrieved after the event. OK Reusable Aluminum Water Bottles (Arrive empty). OK Factory Sealed Single Serve Plastic Water Bottle (Limit one per person). OK Hula Hoops (Including LED). When it comes to essentials, we highly advise you wear a pair of comfy dancin' shoes, a big smile, and dress for the fest' in party attire. Feel free to let your freak flag fly and wear your festival colors loud and proud, but don't leave home without your ticket and valid photo ID! Few rules apply when it comes to dressing for the part at Freaky Deaky. Even if you don't want to shell out for an elaborate costume, there are things you can DIY whether you aim to fright or delight. Work on your disguise this Hallow's Eve with simple tricks, we know you can pull it off! Guests must be recognizable from government issued identification. Includes any full face makeup or paint that would interfere with identification process. Entire costume must be easily removable. No batteries larger than AA. No Police, Fire Department, SWAT, Security, Military, or Public Safety costumes. No weapon or weapon accessories including swords, daggers, axes or guns. No chains, ropes, whips or metal spikes. No glass or ceramic masks or costume pieces. No dust masks or gas masks of any kind. No fake drugs or fake paraphernalia. The planning has commenced to prepare for Freaky Deaky with custom-made accessories for the squad including those beloved totem poles! So wave your Freaky pride sky high and spread the good vibes far and wide. 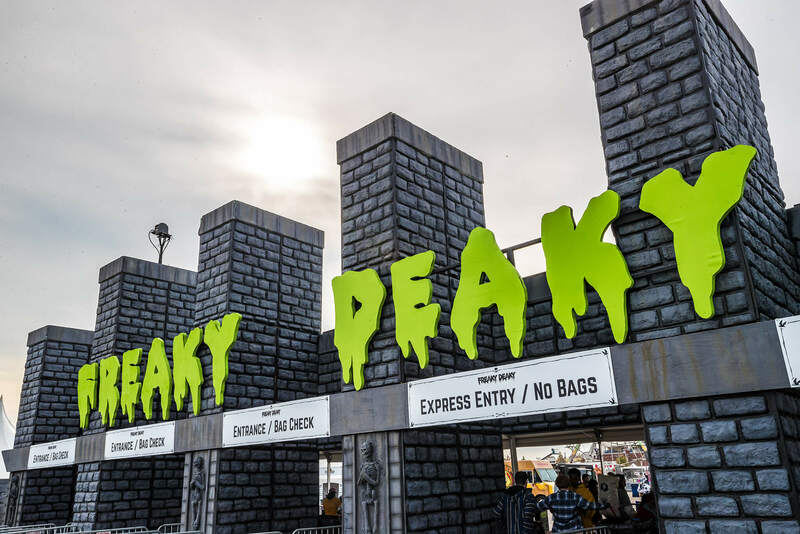 Get crafty and don't hold back on a DIY decorating project, just keep the following totem guidelines in mind to ensure your Freaky Deaky gear passes through the gates with ease. We accept flags, decorated pool noodles, and totems that DO NOT contain metal pieces, sharpened elements, or anything capable of being pounded into the ground and hurting others. Totems and flags without these elements are deemed safe, and adhering to these guidelines will be allowed. Maximum height 10 feet, made from a lightweight material (foam, PVC, etc.). Poles must NOT be thicker than one inch in diameter and cannot contain solid metal pieces. Avoid any items deemed dangerous, promoting illegal activity, or hate speech will not be permitted. Totems are subject to inspection. Apart from your ticket and good vibes, the most important thing to have is an accepted form of identification. Before you head to the park, make sure your ID is good to go! Driver's License (U.S. or Canada). License/Identification Card issued in countries other than the U.S. or Canada. You'll find a number of amenities, including all the basics, across the festival grounds. Preview the list of comforts and conveniences provided on-site and make the most of your time! We encourage our patrons to stay hydrated and drink plenty of water, as well as sports drinks in order to replenish the body's electrolytes. While you're here, fill up on H20 at any of our free water stations, or purchase water at various concession stands around the venue. Stock up on the sickest merch to wear your festival colors loud and proud! Make sure this year's event is one you remember for a lifetime, mark the occasion with a piece of the Freaky collection. Food and beverage stands are located throughout the event with roaming vendors carrying water and other beverages. Visit our vendors for something refreshing like fresh fruit and juices to combat the heat. Bars located throughout the festival will serve beer and liquor. Service hours may be limited and you must be at least 21 years of age with valid identification. Keep your hands-free on the dance floor by renting a personal locker, plus the option to include a phone charger. Yours for the duration of the fest', enjoy unlimited access as you hit the dance floor all day and night. Measuring approximately 8" high x 11" wide x 17" deep, a personal locker allows you to safely stash your belongings. For an added convenience, choose a locker with phone charging capabilities. Stow away your things and plug in your phone to keep the battery charged and stay tapped into all things Freaky. Everything you need is already here! Load up on funds at the ATM to take advantage of all that Freaky Deaky has to offer. We've accounted for the necessities to ensure your experience is seamless. For any forgotten items, or to lighten your load, swing by our on-site general store to pick up essentials.